Whiles visiting the beautiful island of St. Lucia, climbing the famous piton is a must. Are you someone who loves nature, and enjoys hiking, then this hike up the mountain is definitely for you. This intense hike can be booked through many tour companies on the island. It is best to do it through a tour company, as they would know the ins and outs of the mountain. The hike up the mountain takes approximately two hours up and two hours down , so be sure to be well stretched out and fully hydrated, as it can get really hot on the climb. As you get to the to of the mountain get ready to have the most beautiful view of the island. Take in the fresh mountain air; trust me you will not want to leave once you get to the top. There are two things that St. Lucia is known for, the food and the party. Here I am going to tell you where you can enjoy a little of both. Friday nights is when St. Lucia comes alive. Head down to the town of Gros Islet for the Friday night jump up. Locals and tourist come together to enjoy, island music, great food, and of course some Caribbean rum. Walk the street, and enjoy some of the best food you have ever tasted. You must try the barbeque chicken and fish, it is filled with flavor and spice that will leave you coming back for more. Lets head on over the the other fishing village of Anse la Raye on a Friday night. There you can enjoy an array of fresh seafood. Lobster, shrimp, fish, you name it they got it. Enjoy the night with the locals, have a drink right in the street and not be bothered. Dance to some reggae and soca music, and of course, don’t forget that island rum. One of the specialty rums you must try is the spice rum. If you don’t know how to handle your alcohol, this is not for you, ha-ha. So now you got two things to do on you on your Friday night in St. Lucia, which one will you choose? Are you an adrenaline junkie? Then here is something that will have you screaming on the inside, as well as out. Get ready for the island adventure of your life, as you soar through the luscious green mountains, and amazing rainforest. If you are looking to get over your fear of heights or just looking to spend an exciting afternoon with your other half then this activity is something to do. For this exhilarating time, be sure to wear proper attire like running shoes, long shorts or trousers. Make sure you have on lots of sunscreen and insect repellants, as you will be in the forest. 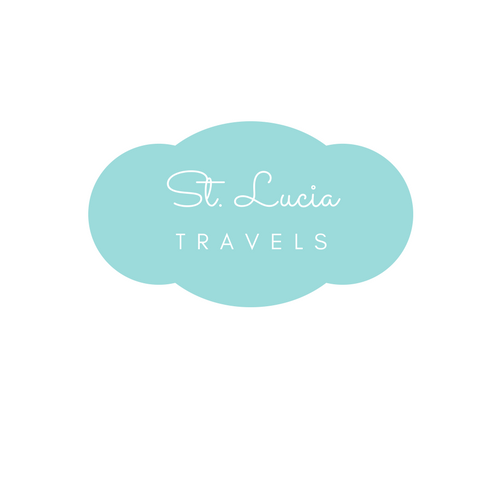 Whiles visiting this beautiful island of St. Lucia, why not add another island to your list. Sail across the ocean to our sister island Martinique. Enjoy an hour and a half cruise whiles you ride across the beautiful blue ocean. Take advantage of seeing some amazing sea creatures, jumping dolphins or whales on your way to Martinique. As you get to this beautiful island, you can enjoy a day of duty free shopping at the port. Get the best French designer, clothes and perfumes. Perfect gifts for your friends back home. You can also take to the beach a have a fulfilled day of snorkeling in the calm cove of Anse DuFour. The great thing about this tour is that you will be fully taken care of. Complimentary barbeque and drinks will be provided to you. There is so much you can get to do on this island. Don’t be left out, book your tour today!!!! St. Lucia is such a beautiful island. Don’t you wish you can view it from up above. Well, guess what, you don’t have to wish anymore. Take a ride with one of the helicopter tours on the island. Experience the island from a different angle. Weather you are trying to impress that special lady, or trying to do something exciting with the boys, this tour could be some thing for you to try out. The helicopters are also available for airport pickups and drop offs. After a long trip on the airplane , this is the best way to start your vacation . Think about it . It will take you less time to get to your destination, and no hassle and trying to look for a taxi. This is something everyone should do at least once in their lifetime. Why not do it in St. Lucia. You are almost at the end of your trip, and you have no souvenirs for your loved ones back home. Don’t worry, I got you covered. Head on over to the Local Castries Market , where you can find an array of little trinkets , keychains , handbags with the St. Lucia flag and so much more. And as an added bonus there are lots of local food is the market. So you will be able to try anything from fried fish, baked chicken the national dish, green fig and salt fish. You can literally spend the whole day in this market between food and shopping. For the more touristy side of things, get over to Rodney Bay , where you can get your duty free shopping done . The great thing about Rodney Bay shopping mall is that you have literally everything you need in one mall. Clothing, souvenirs, food, you name it they got it . You are leaving today. I know it’s hard to leave paradise, but let’s face it, you have to get to the real world. But before you leave you need to relax your body after all the fun you had this week. Why not book a spa day at one of the many resorts on the island. Take the morning before your flight book a massage; get exfoliated with their many natural scrubs. Get a manicure and pedicure. Go back home feeling fresh and rejuvenated. Well, folks, these are some amazing things that you can do whiles on Paradise Island. This world is such an amazing and we have so many things to do that will give us that adrenaline rush we need everyone in a while. Take a look at our friends over at Alltherooms.com for an adrenaline rush on bungee jumping in New Zealand. It will have you wanted to do so much more!!! Whoa! Love that zipline. Do you know how long it is?